I really should have gotten on this serialized fiction bandwagon earlier**. Sure, Charles Dickens was doing it back in the 1800's (pay by the word and leave readers waiting for the newspaper delivery for the next installment? Will Little Dorritt live?) and I can only imagine how much earlier the concept had truly originated, but similar to what Tor.com Publishing is doing with their novella line - Serial Box isn't so much innovating the form as re-popularizing serialization within the science fiction and fantasy genre (this is something that has long been done in audio / podcast format). 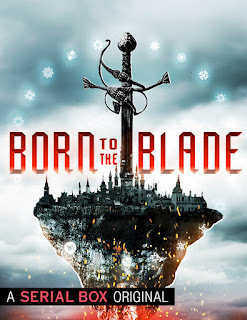 And so it is that, despite having the eleventy thousand page first season of Bookburners (also from Serial Box) on my night stand, I embark on a new serialized adventure: Born to the Blade. Born to the Blade was created by Michael R. Underwood. You may be familiar with his Genrenauts series of novellas (also serialized. I'm sensing a theme here) originally published by Tor.com and finished on his own. It is an epic fantasy centering, at least initially, tightly in a neutral city where conflicts are resolved by formal duels by representatives of their respective nations. If that city is functioning in some ways as the United Nations of that world, the domineering Mertikan Empire appears to map to the United States in many ways. Perhaps I'm reading a touch too much into this, and it may be that "Mertikan" echoes just a bit too close to "American" that I'm reaching for parallels that aren't intended. Certainly, Born to the Blade is not presenting as commentary on America today, but it is also something that won't go away in the back of my mind. We don't read in a vacuum, after all. 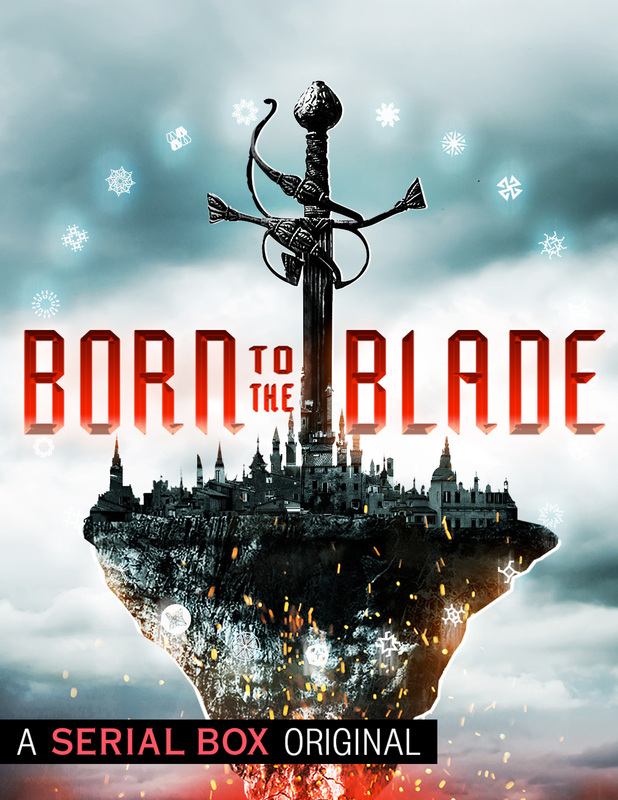 The first two episodes of Born to the Blade are written by Michael R. Underwood ("Arrivals") and Marie Brennan ("Fault Lines") and they both serve as introduction as well as hook. There's just enough cliffhanger at the end of each episode that I finish eager and ready for the next. Thus far into Born to the Blade we are introduced to the politics of the island / city. At this point, Underwood and Brennan have only revealed the outlines of how things fit together. We know there was a rebellion, a captured "Golden Lord", and the Mertikans want him recovered and killed. We see how Kris, a young bladecrafter, is seeking a spot on the Warder's Circle - the first for his home country. We see Michiko work as a junior warder, learning the city, but also clinging to a fragile alliance. "Arrivals" and "Fault Lines" are apt titles for the first two episodes because Underwood and Brennan give us exactly that. They both serve as introduction and they are a fitting start to the serial. The fault lines are clear, the burgeoning conflict beginning to take shape. Our reading appetites are whet. Given there was already one very significant surprise in the first episode, I have no idea where the writers of Born to the Blade are going to take this story. The one thing I do know is that I'm on board and along for this ride. **I should also note the existence of Shadow Unit, which was also a serialized bit of fiction that was exceptionally well done, written and published in episodic format as if it were a television show, and featuring some of the finest damn writers this side of anything. That is almost beside the point, except that I want to take any opportunity I have to mention Shadow Unit, even if I am talking about something else. It was the best. I miss it daily. Shadow Unit forever.